Former Principal Mr. Carl Foster stated, "My remembrance of Fr. Bill Hinds includes his genius of intellect, dry sense of humor and his loyalty to all things NewCath. He came to NCC to teach in 1988 and did so much more during his tenure. He was the finest director of musicals I ever knew and he was instrumental in starting the successful "Gala" -- a fundraising social that kicks off the school's Spring Production -- still exists today to raise funds for tuition assistance." Mr. Foster added, "Fr. Bill was a unique individual. He would rise at 5 am to read the Greek philosophers -- but the uniqueness was that he actually understood what he was reading! He visited NCC often. He will be remembered as someone who made a difference. Rest in peace, my friend." Rev. William H. Hinds, 74, of Ft Mitchell, passed away on Thursday, April 12, 2018 at St. Elizabeth Hospice Center, Edgewood, KY. 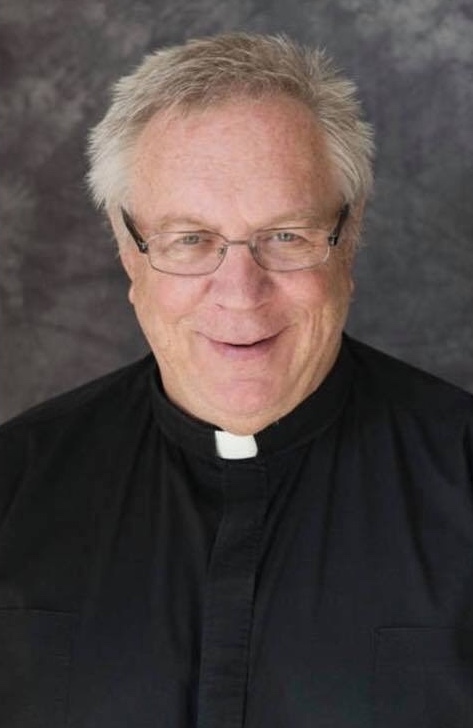 He was a teacher in many Catholic schools, minister to the Hispanic community and initiated numerous charitable, missionary and mentoring endeavors both at home and abroad. He also had a life long interest and involvement in the theater. Fr. Hinds was born April 7, 1944 in Cincinnati, OH to the late Robert and Ann (nee: Eagen) Hinds. He was preceded in death by his Brother, Bob Hinds. Fr. Hinds is survived by his Brother, Tom Hinds of Cincinnati, OH, Sisters, Sally Hinds of Orinda, CA and Susan Hinds of Cincinnati, OH, Nieces, Olivia Hinds and Bridget Aboel-Nil, Nephews, Elliot Hinds and John Mahony and his "Little Brother" Bobby Bramel of Newport, KY.
Visitation 4:00 pm to 7:00 pm, Tuesday, April 17, 2018 at Cathedral Basilica of the Assumption, 1140 Madison Ave., Covington, KY 41011. Vigil Service will be at 7:00 pm. On Wednesday, April 18, Visitation 9:00 am to 9:45 am at the Cathedral Basilica of the Assumption. Mass of Christian Burial will follow at 10:00 am, with Most Rev. Roger J. Foys, D.D., officiating. Burial will take place in the St. Stephen Cemetery Fort Thomas, Kentucky. Memorials are suggested to the Priests' Retirement Fund, 1125 Madison Ave., Covington, KY 41011. Online condolences can be given at www.dmefuneral.com.